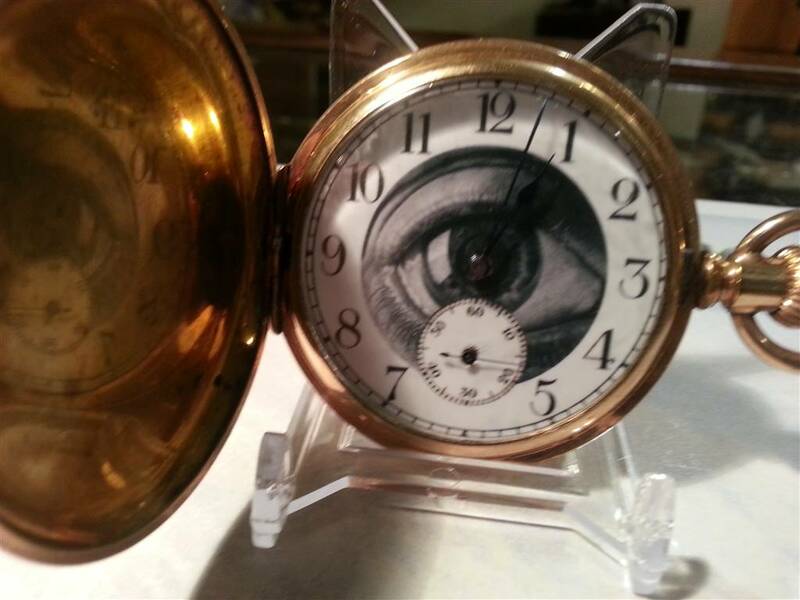 At Evenlode Collectables we have A Passion for Pocket Watches! We sell pocket watches from 18th Century verges to high-grade American Railroad pocket watches with everything in between. We are particularly proud of our custom-dial watches where our in-house artists develop new and exciting dials which are then manufactured in our own workshops. Often these watches have damaged dials and so by replacing them with something newer and more interesting we can breathe new life into a old watch. 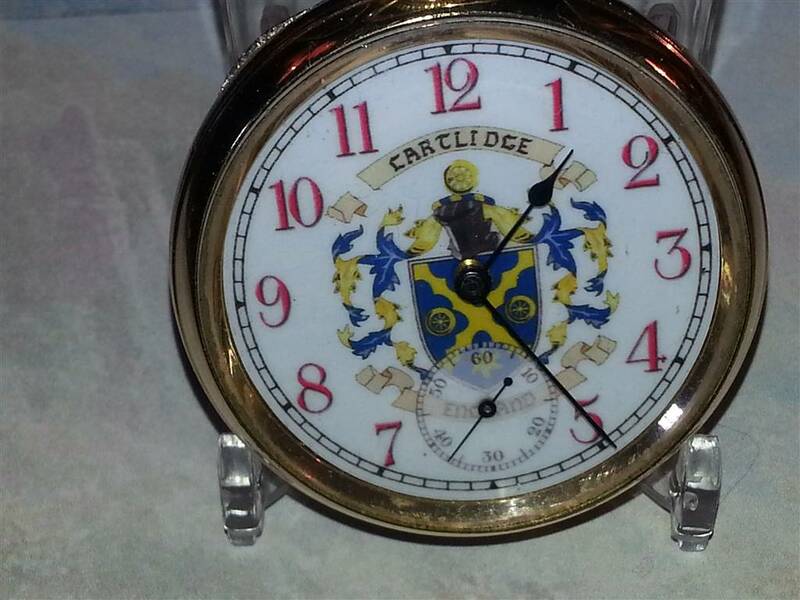 EC Dial with Cartlidge Family Crest. Have your own family crest on one of our dials! We also offer a bespoke service where we can create a dial to your specifications. It may be one with your family crest on it or one with a beloved pet on it. Drop us a line and we will be happy to help. We now have a cabinet at The Quiet Woman Antiques Centre at Southcombe just outside Chipping Norton on the main Oxford to Evesham road. It is on the junction between the A44 and the A3400. On display are pocket and wrist watches, snuff boxes (Georgian to Edwardian), Albert Chains, small items of antique furniture and brassware. Please drop in and see us!